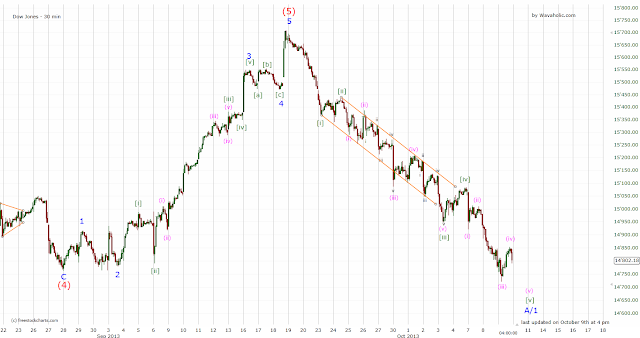 The Dow dropped below the August lows today invalidating the bullish count I have been following since early September. This bigger-than-expected correction isn't much of a problem though since I have been bearish for more than two weeks now. As you can see on the chart I think that wave A or 1 will finish soon. There should be support at the June and August lows. Thus, I think we will bottom between 14550 and 14750. 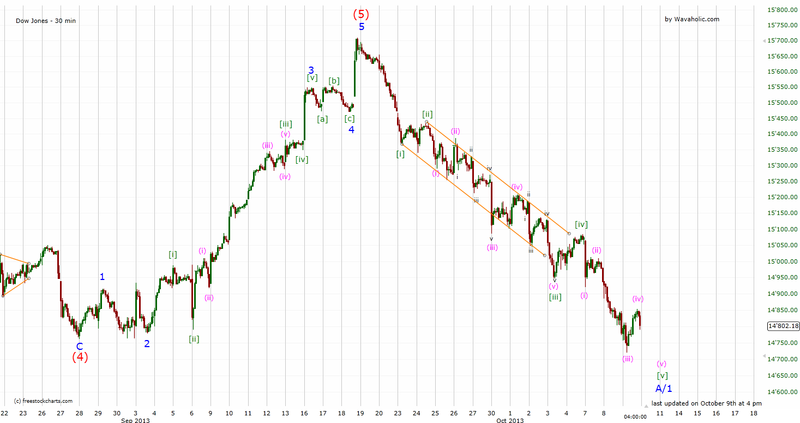 Downside should therefore be limited and thus I'm neutral now and waiting for wave B or 2 to start.